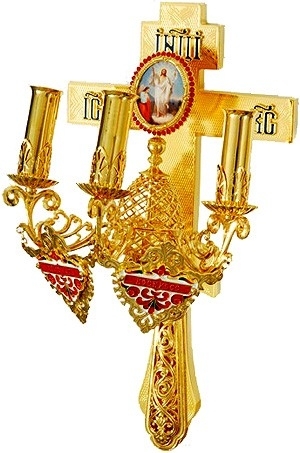 Orthodox Paschal three-candle holder. Brass, casting, gold-gilding. Size: 3.3''x7.5'' (8.5x19 cm).